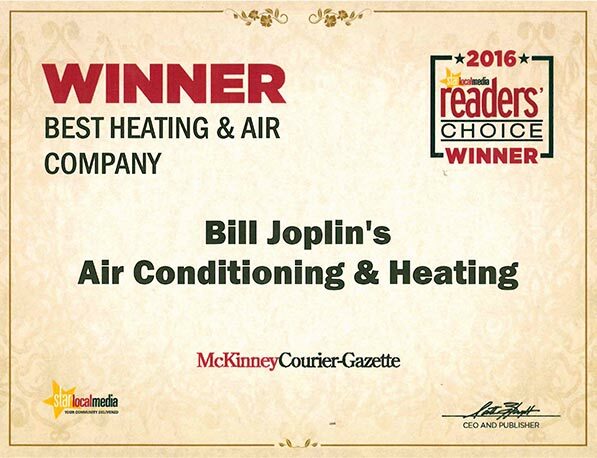 Bill Joplin’s Air Conditioning & Heating is a leading residential HVAC Contractor providing heating and cooling services to McKinney, TX and the surrounding communities. We have always been an air conditioning company showing consistent growth over the years, by offering competitively priced programs and services. We are an HVAC Contractor dedicated to staying current with state-of-the-art technology through investment in our equipment and our people. That’s how we have delivered the highest level of HVAC service at the lowest possible cost to our customers since 1978. Maintaining the high standards for being a Carrier Factory Authorized Dealer is an honor and a challenge. Only HVAC Contractors who demonstrate superior technical expertise and highly ethical business practices earn the Carrier Factory Authorized Dealer designation. 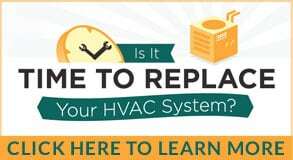 Fewer than five percent of HVAC contractors in the country are awarded the distinction.